Who Benefits from the Increased Tax Exemption Cap (Senate Bill No. 2437)? The Senate Bill No. 2437 seeking to increase the Exclusions from Gross Income cap, amending Section 32(B)(7)(E) of the National Internal Revenue Code of 1997 has been ratified on 1 December 2014 and is currently awaiting the President's approval. If signed, the cap on tax exemptions for 13th month pay and other benefits will increase from PhP 30,000.00 to PhP 82,000.00 At first glance, this looks like great news, but are you really going to benefit from this bill? The computation for the mandatory 13th month pay is the total of all income for a 12 month period from January to December of any given year divided by 12. If this is the only bonus you receive that year, you will have to be earning over PhP 360,000.00 for that given year to realize any benefit from this exemption cap increase. 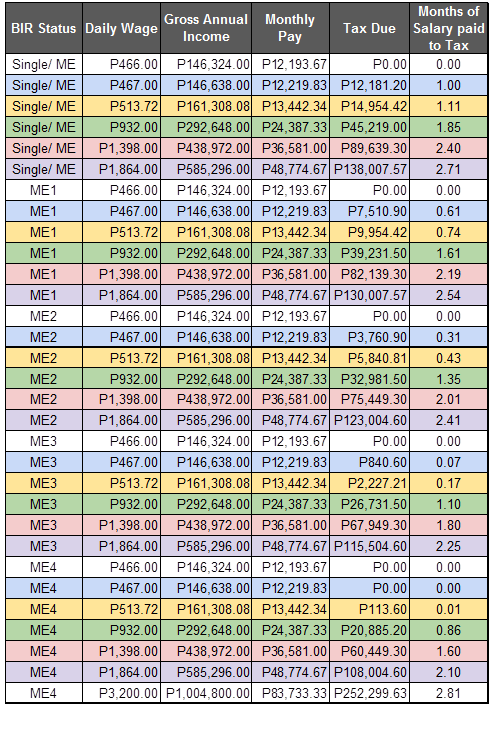 As illustrated in the table below, if you are earning PhP 360,000.00 or under for the given year, there will be no change to your take home pay. Why? Because you are already enjoying the full exemption under the current tax code. If you earn PhP 360,000.00 for the year then your 13th month pay will be PhP 30,000.00 and that is already exempted under the existing law. That holds true for annual pay below PhP 360,000.00 as well. 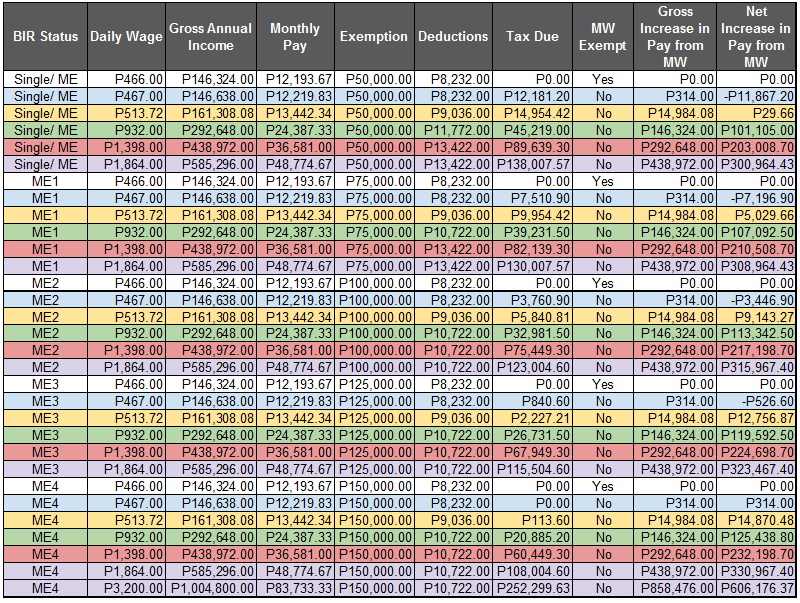 This table shows the income levels that would benefit from the new exemption caps, shown in red letters. There is a caveat to this, though. If you are earning PhP 360,000.00 or under, and you get additional bonuses and/ or incentives throughout the year, on top of your 13th month pay, you may see an increase in your take home pay, if the additional benefits (bonuses, incentives and other exempted benefits.) that you normally receive exceed PhP 30,000.00. If these benefits are expected to be PhP 30,000.00 or less, there will be no effect to your take home pay, for the same reason. You are already enjoying the full exemption under the current law. In short, if your total expected bonuses for the year are already currently above PhP 30,000.00 then you will feel the effects of this bill. The amount of extra cash you can expect is the amount of bonuses you receive in excess of PhP 30,000,00 up to a maximum of PhP 52,000.00. If you are already currently receiving PhP 82,000.00 or higher in bonuses annually you will enjoy an additional PhP 52,000.00 in extra cash. Referring to Table 1, cases shown in red, the amount in the 'additional taxable income' column becomes covered under the new law and this will be the additional amount in take home pay you can expect receive. If your bonuses for the year total PhP30,000.00 or lower, there will be no extra money for you. Are you still jumping for joy, or did I burst your bubble? 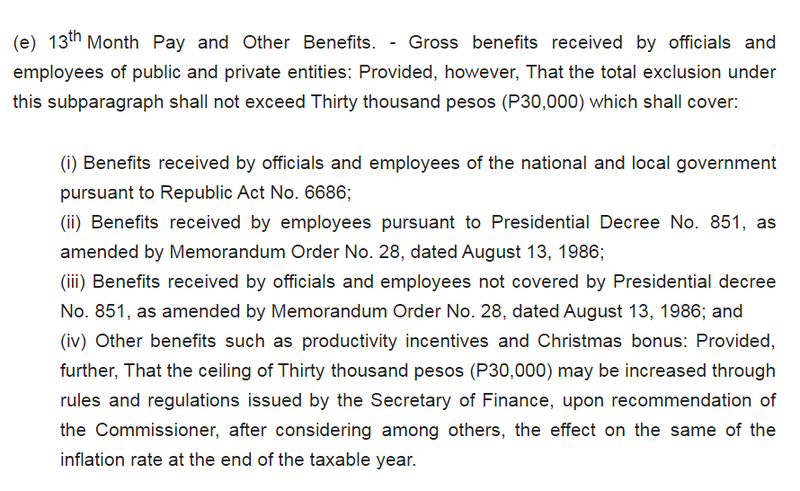 If you are among the lucky few (1.5 million out of the 26 million or 5.8% of the total wage earners) who will benefit from this bill, pray really hard that the President will sign it into law, because you will share in what Kim Henares (Head of the Bureau of Internal Revenue) estimates to be PhP 30 Billion in added employee benefits. Everybody else should just carry on with their lives as usual because nothing will change for them. If you are among the 24.5 Million workers who will not get any extra cash, there might still be a way you can take advantage of this bill, that is if the President decides to sign it. Negotiate with your employers to restructure your salary package so that a portion of your pay is given as a guaranteed bonus or incentive, instead of basic salary. That way your bonuses, up to a maximum of a maximum of PhP 82,000.00 can enjoy a tax free status. This will translate into added benefits for you, the employee, without any additional cost your employer. Some employers might be reluctant to implement this with your current pay structure. They might be red flagged because of the company's decreased withholding tax remittance for the same employees. Labor laws prohibit a diminution of benefits. Technically however, it can be argued that benefits have not been reduced, simply reclassified. It has in fact increased. And it cannot be considered a violation of the labor code unless an employee files a complaint. But again, why would an employee complain if it translates to added benefits for him. It will make Kim Henares very unhappy because this will result in even less taxes. My advise to her, is to reduce the tax money lost to corruption and bad practices (massive by their own reports) and the government should do fine. Still, if for any reason your employer refuses to implement this with your current pay structure, you can still ask them to apply this to all succeeding pay increases. Instead of adding the pay increase to your basic salary, propose that the increase be classified as a guaranteed bonus instead. That way you can maintain your current tax bracket, and the entire pay increase you receive will enjoy a tax-free status as long as the annual total is within the PhP 82,000.00 exemption (including your 13th month pay). If you manage to convince your employer to do this though, you should know that the increase in salary will not be included in the computation of your 13th month pay. But this should be fine because if your pay increase is added to your basic pay, it becomes part of your taxable income and part of that increase will go to taxes, more so if your pay increase bumps you up to a higher tax bracket. This could offset the increase you get in your 13th month pay. It may not work in all cases, so to be sure it works for you, do a mockup for your own case before you propose it. Trivia # 1: Because of the skewed taxation system, some pay increases will actually take money out of your pocket. You may already know that minimum wage earners are exempt from personal income tax. A minimum wage earner in the NCR without any dependents woking 6 day a week will automatically get a PhP 143,324.00 exemption or possibly higher annually (because his overtime, night differential, holiday premium pay and hazard pay are all equally exempted). This is roughly equal to the exemption for any wage earner with 4 dependent children. 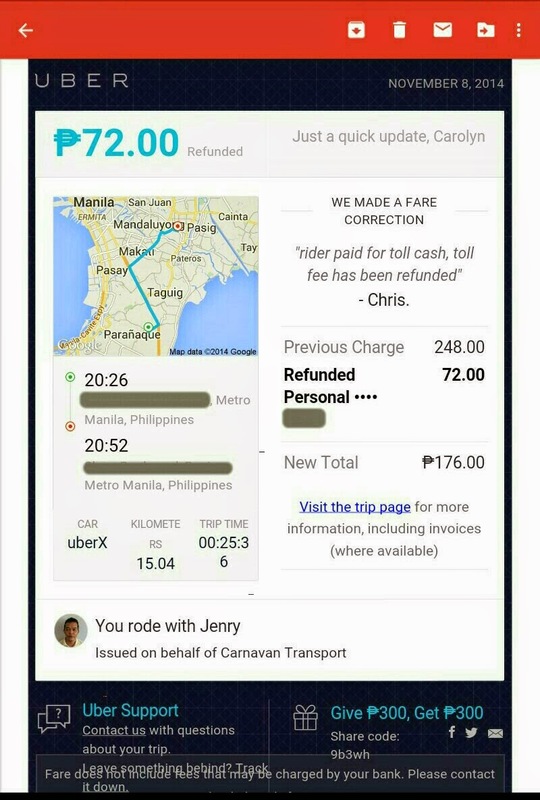 (PhP 150,000.00). But what you probably didn't realize is, if you were to add even PhP 1 to his daily wage, or a total of PhP 314.00 to his annual wage, his taxable income would jump 4 brackets up to the 20% tax bracket. A pay higher than the minimum wage, does not enjoy tax exemption. He would be taxed PhP 12,181.20 and his actual take home pay will decrease by PhP 11,867.20 for that year. (See Table 1 below, Summary of Tax Scenarios). In fact, it is only when he is given an annual pay increase of PhP 14,984.08 will his take home pay will increase by PhP 29.66. Almost the entire amount of his increase will go to taxes. So if you are a minimum wage earner, with a Single or ME (married with no children) status, do not accept any pay increase under PhP 15,000.00 for the year, unless you can receive it as a tax free benefit, otherwise you might actually end up making less money after taxes. This is the result of haphazard patch work on the tax code. When they introduced the minimum wage exemption, they did not adjust the bottom brackets to reflect the change. This left that wide gap in taxes between the minimum wage earners and the non-minimum wage earners. The minimum wage rates has since been increased several times but the brackets remained the same creating an ever increasing skew in income taxes. Trivia # 2: Did you know that the top tax bracket for taxable income of PhP500,0000.00 and over used to be 34% in 1998? It was reduced twice, first to 33% in January 1, 1999 then to 32% in January 1, 2000. My guess is most people didn't know that, because it didn't really affect most people. Unless you were already earning more than PhP 500,000.00 annually in 1999 or in 2000, these changes didn't affect you one bit. Before you go ballistic about the inequity of this reduction, these reductions in taxes result in very minute benefits, For an annual income of PhP 1M, even with the maximum exemptions, the benefit would be something like PhP 3,000.00 plus. Not a lot for someone already earning PhP 1M. Besides, trust that people in the upper income brackets have the resources to masterfully 'manage' their taxes. It is only people in the middle bracket incomes that are at the mercy of the tax system. The government has made sure that your taxes are safely sequestered and that you will never ever get a chance to touch that money. Trivia # 3: Did you know that you may have to pay up to nearly 3 months of your salary in taxes, depending on your tax bracket? Especially, in the brackets with no exemptions for dependents, you could be working up to nearly 3 months in a year just to pay your taxes (See Table 3). In progressive countries, they pay even higher, but these people don't mind too much, because the government provides in return very relevant services like education, healthcare and reliable public transport. In the Philippines however, that is not the case. After paying your taxes you still have to struggle with the cost of education and, God forbid, healthcare which are both extremely expensive in this county compared to other countries. And using the public transport can literally be a daily life threatening pursuit. You are funding the government through the taxes you pay with your own blood, sweat and tears. Trust me when I say, it is in your best interest to take an active involvement in the government's policies and activities. You are funding it with months of your pay, so you have every right to dictate how it is runned. You need to know what's going on and understand how all of that is affecting you. If you were to keep the money you pay in taxes and spend it yourself, how would you use it to improve your life? 1, 2 or 3 months of your salary, could buy you decent health care for your family or pay for your kids schooling. It could also go to a fund invested to purchase a house or make your life comfortable upon retirement. 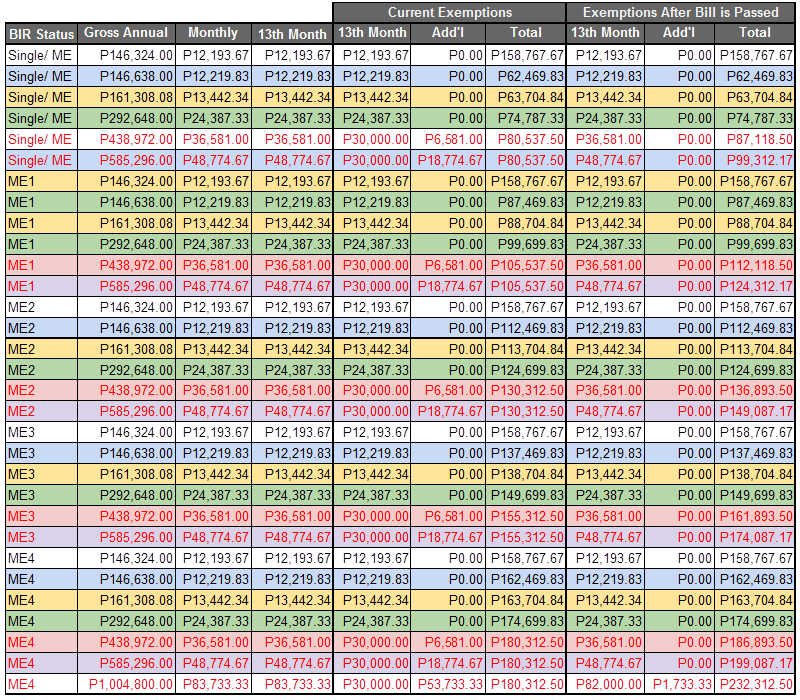 You should also remember that on top of the taxes you pay, you are also paying mandatory contributions for retirement (SSS), healthcare (PhilHealth) and housing (PAGIBIG/ HDMF Fund) If you refer to Table 2 above, the 'Deductions' column shows the aggregate annual amount paid for those income levels. It does not reflect your employer's contribution which is roughly the same amount (slightly higher for SSS) and is essentially part of your compensation package. It is considered tax-free income, but really if you factor in the loss in yield due to poor fund management and corruption, you actually pay a huge tax. That money is taken, and spent without your say in it. You just have to make do with whatever they dish out when your benefits become due. Many funds offered on the market are performing far better than the SSS, PhilHealth and PAGIBIG funds have achieved with our money. Earlier this year, there was news that the SSS gave out bonuses to their executives and employees, amounting to PhP 276 million. This they claim, was for good performance. How they define good performance is a mystery to us all. They also said it was necessary to make their compensation package more competitive, so they can attract fund managers in the private sector to work at the agency. But if their pay is at par with the market, shouldn't the funds' performance be at par with the market as well? All contributors to these government-managed funds should, demand full transparency for its spending and activities. Aside from the contribution they collect, they also receive additional funding from the national budget. The only information we are given right now is a statement of how much we contributed, but no account on how it was invested, what the yield is, how much is spent on overhead, how much is the current fund value relative to our contribution, much like any fund is required to do, if investments are solicited from the public. 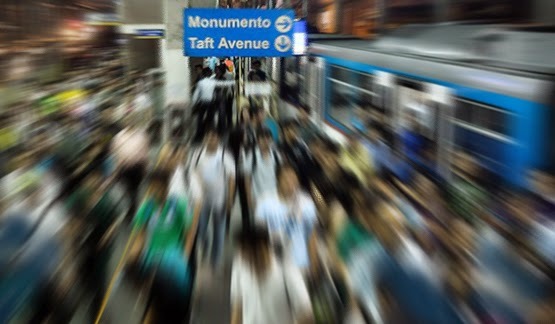 Better still, we should push for the implementation of the PERA Act at the soonest possible time. The Personal Equity and Retirement Account (PERA) Act is a retirement plan somewhat similar to the 401 (k) plans in the US but not quite, It was passed in 2008 and is still on hold pending implementation structures and guidelines. Many people have forgotten that it exists. More on PERA later. In all cases the person has worked all 12 months of that year. The person does not receive any non-taxable benefit other than the mandatory 13th month pay. If he did this would be added to his exemption up to the maximum allowed limit. The person works six days a week. There is no over time, no undertime, no night differential pay, no holiday pay, and no absences. All these would affect the computations slightly. 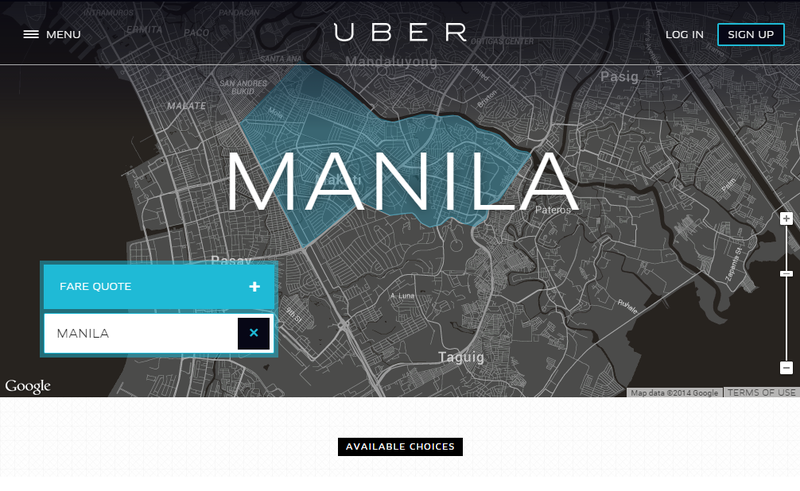 It uses NCR minimum wage rate set a PhP 466.00 per day. 13th month pay is not included in the annual income shown, but the taxable portion of the 13th month pay, when applicable was added back to the taxable income. It uses the current cap of PhP 30,000.00. If the new cap is used the 13th month pay in all scenarios will be completely tax-free except for the last ME4 case and the taxable income in affected scenarios will be slightly lower. The tax scenarios presented here have been simplified to make the cases easier to compare and understand. Actual tax computations will differ from case to case, depending on such factors as overtime, undertime, absences, holiday premium pay and night differential pay. It will also differ based on the actual compensation package and applicable policies and processes specific to each company. To get a more accurate computation for your own particular case, you will need to input the data provided in your payslips. The HR in your company should be able to clarify any questions you may have regarding your pay and tax deductions. Asking the Filipina: Is Gender Bias Real? *A Pantene video advert went viral. Their message, "Don't let labels hold you back. ", pokes at gender biases against women who go head to head with men in the world. Sheryl Sandberg, COO of Facebook and author of the bestselling book 'Lean In: Women. Work, and the Will to lead' was impressed by the video and tweeted her thoughts about it. Having over 1.2 million followers on Twitter, the video grew wings and has now over 8.8 million views. It is now playing a part in the raging global debate on gender biases. But is the 'Gender Bias' real for Filipino Women? When I hear news about women stoned to death or tortured for 'dishonoring' their family, in this modern times, I cannot help being enraged and disgusted. Women are denied education, voting rights or even the most basic of freedoms. No doubt there is extreme gender bias in this world, because men do not ever have to suffer that same fate and are most often the ones who impose this sort of treatment on women. But then I look at our society and I truly appreciate that ours is far more humane to women, than many of our Asian counterparts. Many Filipino women are at the helm of their own businesses or occupying top management positions, granted not in the same proportion as men, but still, they can freely aspire and achieve such positions. Mothers have a powerful say about their children's upbringing. Filipinas have a voice and do not hesitate to speak out for themselves when they feel oppressed or wronged, and our men are very inclined to listen and make concessions without feeling a need for retribution. Women have fought along side men in all our revolutions and have been elected to the highest post in the land. Sure, there are some outspoken male chauvinist (bigots) and misogynists (women haters) but no one really takes them very seriously. I guess Filipinos are really about peace and harmony and Filipino men don't really want to face the Filipina's wrath. Or am I mistaken? 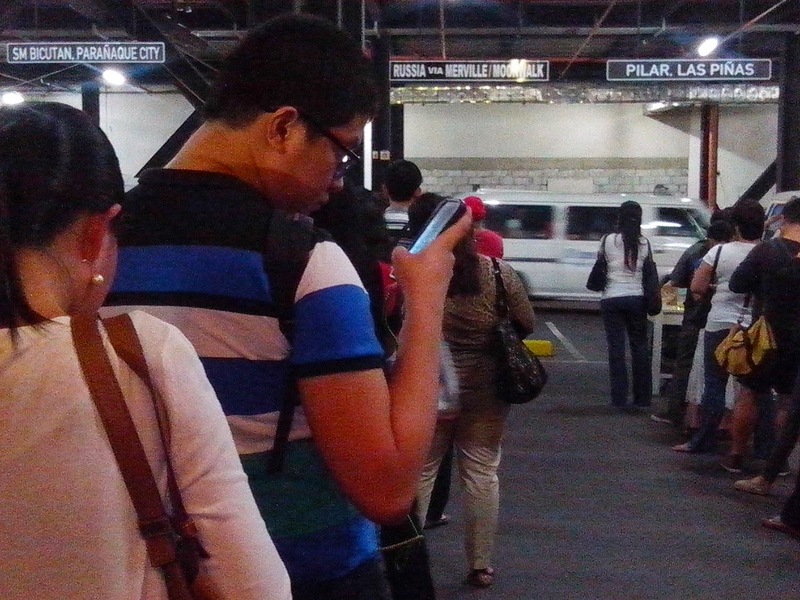 Is gender bias really a pressing problem for Filipinas? Instead of making a pitch that gender bias is or isn't a problem in this country, I thought it might be a better idea to ask Filipino's what they think. Below is a short survey on gender bias. Please spare some time to participate and share with your friends, especially with the women who will suffer the full brunt of it. When I read the Rappler's report on the Pantene advert, I remembered that I wanted to read Sheryl Sandberg's book 'Lean In: Women. Work, and the Will to lead'. So I bought the audiobook immediately and finished it in the 6 hours it took to listen. Clearly Sheryl is an outlier. She had access to minds and institutions that a regular Joe could only dream about. She worked with the likes of Larry Summers, Larry Page, Sergey Brin, Tim Geithner and Mark Zuckerberg. She worked at Google and then at Facebook, two of the largest companies in the world. She is an exception rather than a rule. Hers isn't a woman's typical experience. This has been the main criticism against her advocacy, that she wasn't speaking from ground level, where most women will be coming from. But her perspective, however uncommon, offers women a most precious vantage point. One that has not been shared until now. Because Sheryl has reached the heights that she has, she can give her readers an amazing world of what could be for all women, especially for those who have chosen to work in a corporate world. Women (even men for that matter), especially like us who live in the 3rd world, have become so conditioned to live with lack, that we expect it, and nothing more. We have stopped thinking about what's possible, what we can change, what we must change to make our lives more fulfilling. We cannot solve our current problems with the same level of thinking as we now have. We need to think at a higher level to surpass the conditions we struggle with. Sheryl dares us to think from a higher more empowered level. She challenges us to tear down all our self-imposed limitations. If women were to take it upon themselves to solve the world's problems, what new and wonderful solutions might they come up with? It's all very fascinating to ponder. So I recommend that women and men read Sheryl Sandberg's book, 'Lean In: Women. Work, and the Will to lead' and transform the way you think. You can purchase a digital copy from Amazon for roughly PhP 300. We owe it to ourselves. "Conditions for all women will improve when there are more women in leadership roles giving strong and powerful voice to their needs and concerns."